I LOVE getting my back to school shopping done online! 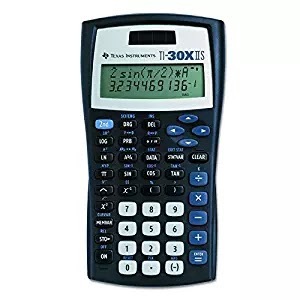 Hurry over to get this Texas Instruments TI-30X IIS 2-Line Scientific Calculator on sale for just $8.88! This is the lowest price it's ever been so you'll want to grab this deal before the price goes up again! -2-line Scientific Calculator helps you explore math and science concepts. -Texas Scientific Calculator lets you review previous entries to look for patterns. -Menus allow you to select settings appropriate for your needs. -The 2-line Scientific Calculator allows operations with fractions and mixed numbers.